March 6, 2017 | March 6, 2017 | Christina Karnatz has joined the University of Arkansas for Medical Sciences (UAMS) as an associate director of development, and Katie Rievert has joined UAMS as a development associate, both with the UAMS Northwest Regional Campus. Karnatz is the first associate director of development to solely represent both the Office of Community Health and Research and the Center for Pacific Islander Health. Karnatz is the first associate director of development to solely represent both the Office of Community Health and Research and the Center for Pacific Islander Health. Her duties include securing sustainability funding for grant programs funded by the Centers for Disease Control and Prevention and the Patient-Centered Outcomes Research Institute, which currently total more than $10 million. Karnatz joined UAMS after six years with KUAF 91.3FM, the area’s National Public Radio affiliate, a service of the University of Arkansas. In addition to serving as a reporter and co-host of the daily news show Ozarks at Large, she served as development coordinator. In this role, Karnatz worked with membership and underwriting directors to manage the station’s annual fund, seek underwriting support, and maintain donor accounts. Karnatz aided in the organization and timing of KUAF’s three on-air annual fundraisers, pitching on-air and live fundraising messages. The Office of Community Health and Research addresses health disparities through research, programs and advocacy. Rievert will assist with identification, cultivation, solicitation and stewardship of donors. Karnatz has an undergraduate degree in international business from the University of Arkansas at Fayetteville Sam M. Walton College of Business and is pursuing a Master of Science in communication from Purdue University. She has served as an AmeriCorps member, and held volunteer or board positions at Peace at Home Family Shelter, Spay Arkansas, and Northwest Arkansas Fashion Week. 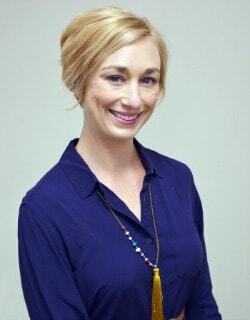 She was most recently a member of Emerging Leaders, a professional leadership group with Elevate Arkansas. As a development associate, Rievert will assist with identification, cultivation, solicitation and stewardship of donors. “I am thrilled to join the distinguished team at the UAMS Northwest Regional Campus and to continue working to promote health in the region,” said Rievert. Rievert joins UAMS after three and a half years with Feed Communities, a Fayetteville- based nonprofit working to increase access to healthy food and reduce hunger in northwest Arkansas. As the community outreach program manager, she led strategic fundraising initiatives, managed volunteer projects, and promoted its mission to the public. She also developed and taught healthy cooking classes to individuals with disabilities, taught Farm to Preschool classes to high-risk students, and sustained the Feed Communities Neighborhood Garden, a free resource that encourages the community to grow its own food. 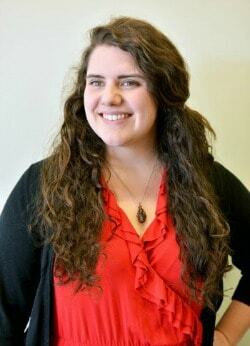 Rievert has an undergraduate degree in social work from Taylor University in Upland, Indiana. She has served as an Episcopal Service Corps member and volunteers for multiple nonprofits in the northwest Arkansas region.